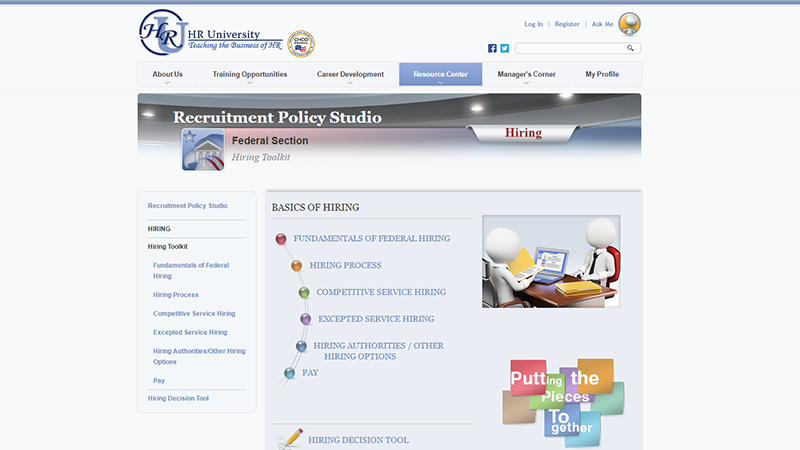 As an HR support system in recruiting, marketing, training, and development for its 133,000+ active registered users, HRU has saved the Federal Government more than $150 million by reducing agency training duplication. HRU is the recipient of the Deloitte Public Sector Innovation Award for the 21st Century, and the CHCO council received the Training Officers Consortium’s Distinguished Service Award for human capital management in recognition of its innovative work on HRU. 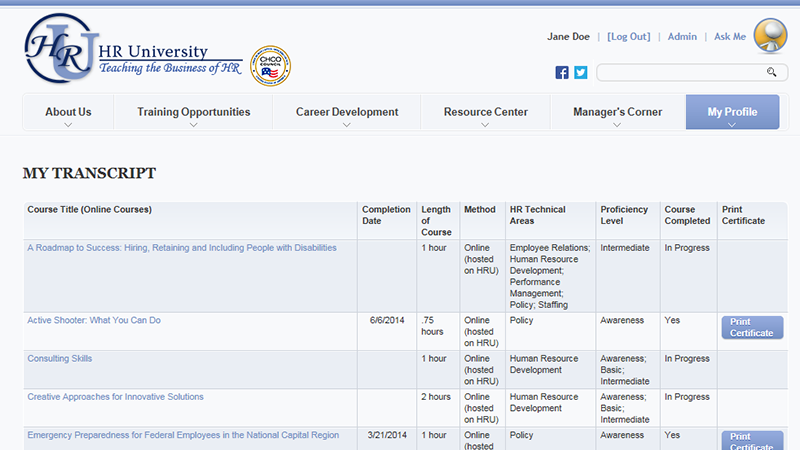 HRU allows the sharing of valuable human capital resources across all agencies. 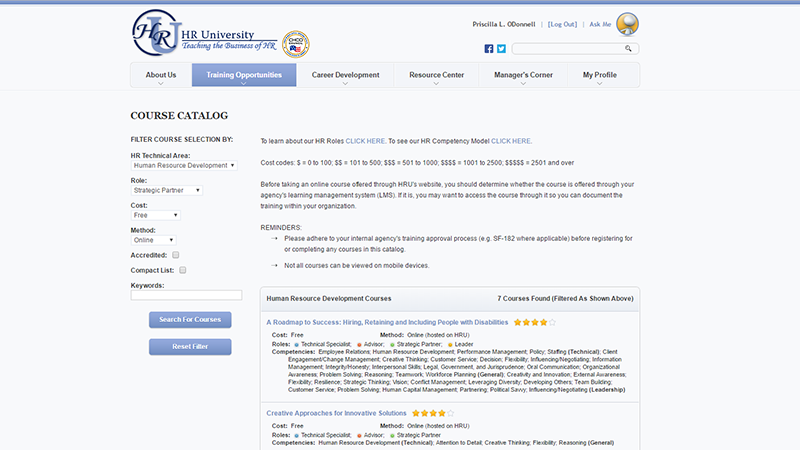 Via the cross-domain course offerings, other Federal agencies may enroll in trainings and view HRU materials from their own agency’s Learning Management System (LMS). 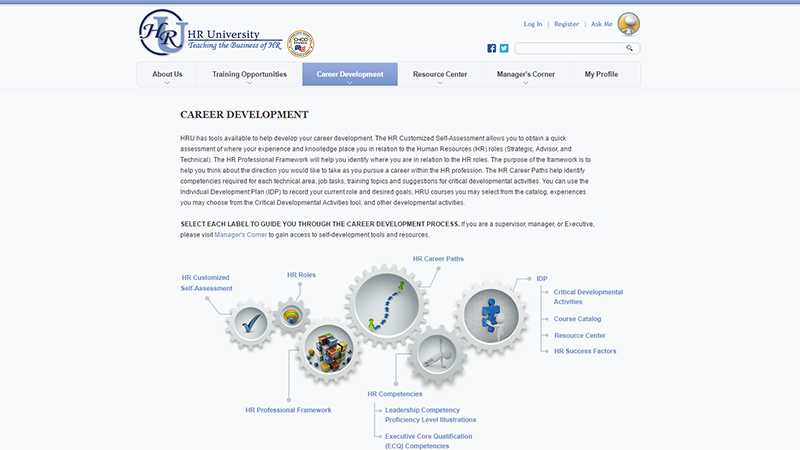 The other agency’s LMS discreetly accesses HRU’s knowledge repository, making pivotal HR training products directly available through their own agency’s knowledge repositories.